Schedule your service online and get a free car wash in LaGrange, GA, at LaGrange Toyota, also serving Newnan, Columbus and Auburn, AL. Must present coupon at the time of service write up. Plus tax and applicable fees. See dealer for details. Bring your vehicle in for our 4 Wheel Alignment for $79.95 in LaGrange, GA, at LaGrange Toyota, also serving Newnan, Columbus and Auburn, AL. 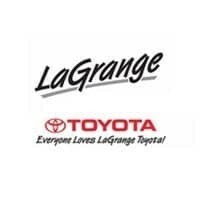 Schedule your service online and get $10 off your next service in LaGrange, GA, at LaGrange Toyota, also serving Newnan, Columbus and Auburn, AL.